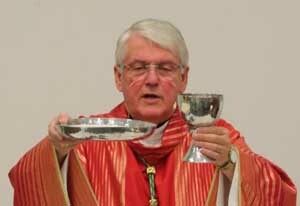 Cardinal Collins and Bishop Douglas Crosby of Hamilton, Ontario, president of the Canadian Conference of Catholic Bishops, were responding to a March 8 announcement that the government would “invest” $650 million (US$483 million) over three years to provide abortion and other services in the developing world. In addition to funding abortions and other sexual health initiatives, Canadian money will now be earmarked to support foreign advocacy organizations working to make abortion legal in nations that currently ban the practice. “Such a policy is a reprehensible example of Western cultural imperialism and an attempt to impose misplaced but so-called Canadian ‘values’ on other nations and people,” Bishop Crosby wrote in his letter. “It is praiseworthy to offer international aid; it is arrogant for powerful, wealthy nations to dictate what priorities developing countries should embrace,” he wrote. “Pope Francis has cautioned the rich and powerful West against the danger of ‘ideological colonization,’ in which such countries and organizations offer funding to help further a particular social agenda. “Surely we can do better than imposing a distorted vision of the empowerment of women on the people of countries that deserve our support to respond effectively to the challenge of their most pressing needs,” he said. Bishop Crosby said the prime minister’s policy and vision “are contrary to the fundamental ethic” of protecting the weak and vulnerable. Trudeau announced the plan March 8, International Women’s Day. The new initiative will support abortions, contraception, sexual education and reproductive health, according to a government statement. The Trudeau policy is in sharp contrast to that of former Prime Minister Stephen Harper. His government implemented a five-year, $3.5 billion foreign aid program to support maternal and child health that explicitly excluded abortion-related services. This story was compiled by the staff of The Catholic Register in Toronto.